Looking for the best Australian Events and Music Festivals in Australia? Then look no further, with this comprehensive list of 150 Events and Festivals Australia-wide. Download your free copy of the Events calendar today and get visiting for the best cultural, natural, historical experiences of Australia. Finding the best in Australian Events and Music Festivals is as easy as … 1, 2, 3, 4 and 5 ! The Nannup Music festival is one of the most soulful music festivals in Australia. It combines great music, traditional art and nature appreciation. The busking competition is a must-see, and the emphasis of the locals on loving and honouring the land of the local tribes is amazing. The Adelaide Festival is one of the best cultural events in Australia, with the best of dance, theatre, ballet and classical music. It’s high culture at its finest. The eclectic array of world-class musicians, awesome dance pieces and high-art display is a premiere event Australia needs. The Sculpture by the Seas is an eclectic Oz experience, putting the best of the best modern art and sculptures by the beach. It’s degustation for the eyes, feeding your senses with both human-made arts and the natural beauty of the beach. The Noosa Festival of Surfing is the biggest 5-day amateur surfing competition in Australia. This all genders competition is perfect for every thrillseeker who loves to either hit the waves or watch the extreme sports enthusiasts play it out by the sea. Enlighten Canberra is one of the biggest major events in Australia 2019 for the whole family. Eat your heart out, see the beautiful lights, explore the wonderful carnival and enjoy the Canberra Balloon Spectacular with your family. Finish the night with fireworks and relax with this wonderful festival. One of the most chill events in Australia, Minerama is for people who have interests in mineralogy and fossicking. See the beautiful natural and gems, together with fine jewellery for the exhibition. Simple and introspective, it’s a great event for the whole family. The Moomba Festival is one of the few free community festivals in Australia and is among the biggest events in Melbourne. Enjoy the elaborate parades and floats, carnivals and various water activities. End on a high note with the highly controversial Moomba Monarchs, which crowns the most influential man and woman from Melbourne as stars for the event. Expecting a Long Trip? Make Sure to Pack Everything That You with this Camping Packing List. For people who are looking for a fun, hippie cultural festival, WOMADelaide is a fun family-friendly event. There’s a lot of music, fanfare and family-centric activities. The music runs from morning to evening, so you’ll surely enjoy every act. The Great Outdoor Expo is among Victoria’s biggest industry travel event. 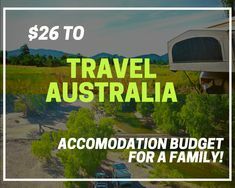 Tailor-made for the Aussie outdoor enthusiasts, the event gathers the authorities in camping and caravan in helping the growing number of travellers with their questions – even giving discounts and great product sales! The Blue Mountains Music Festival is one of the best music festivals in Australia that tickles all the senses for a unique experience. Apart from top music and joyous revelry, you can also enjoy the natural wonder of the rural area by being one with the land. The Mandurah Crab Fest is a delicious feast of the taste buds. Fun events, cultural dances and party with the family through the best tasting food fare. All of these centre around the delicious blue manna crab, which creates succulent dishes for the discerning palate. The World Science Festival is a great event for the family, which is among the most enjoyable and educational things to do in Australia. Combine science, discovery and teach science through art. Family-friendly, it’s a joy to relax and learn at the same time. We’ve been and loved it. Need To Visit More Places? We Have Australia’s Best Kept Secret Here. If you’re around Perth and looking for some help with your outdoor skills, the Perth Caravan & Camping Show is the right traveller event for you. Learn more about camping, caravan and other outdoor activities, together with a slew of products that can help you in your caravanning. The Melbourne International Flower Festival is the biggest Autumn festival in the entirety of Australia, which is a wonderful event in itself. This family-friendly nature event has all the makings of a great Autumn event, including flowing autumn food, floral fashion and pumpkins from the local diggers’ club. The bordering Albury – Wodonga settlement hosts one of the biggest traveller traffic. It makes sense that the locale’s premiere caravanning event happens here. Find educational information and even promotional discounts for camping, caravanning equipment and even 4WD products. One of the best scenic events in West Australia, the Staircase to the Moon is a natural phenomenon which “occurs when a full moon rises over the exposed tidal flats of Roebuck Bay”. This happens at specific times every month from March to October, typically in the 3rd week of the month for 2 – 3 days at a time. Another one of Australia’s awesome country shows, this event pays homage to the “Man from Snowy River” poem by Aussie bush poet Banjo Peterson. Experience the most authentic rodeo, cattle dog championships, the best ute musters in town and many other challenges for the certified cowboy. Watch buskers and even taste the bush markets. It’s all you need in a country show! The Camden show is a proud country show through and through, with tons of family fun up stake for you. Enjoy Lumberjacks, Freestyle motorbike and bicycle trial stunts and the Isuzu D-Max precision driving team do breathtaking laps. Bring your kids and family and unwind in one of the best country festivals in Australia 2019. The National 4×4 Outdoors Show, Fishing & Boating Expo is the adventuring Aussie’s dream. There’s a lot in store for the discerning Aussie and this is among THE travel events for camping enthusiasts. Watch the 4WD proving grounds for 4WD enthusiasts, catch and cook events and see the best industry exhibitors, from campers, trailers, camping equipment and everything in between. The Parrtjima festival acknowledges the traditional owners of country throughout Australia and pays its respect to their Elders past and present. Done through art, lights and educational events with local Aboriginal and Torres Strait people. Australia’s food basket festival, Tasting Australia celebrates food, drink and everything gourmet. Taste delicious foods, gastronomic delights and wine experiences and masterclasses. Stay for the Spirit Awards and taste delicious fair from world-class chefs and the best wines in the region. The Orange F.O.O.D Week is one of NSW’s premier travel events. This jubilation of food celebrates all the local produce fresh from harvest, cool climate wines and amazing farm food. Enjoy one of the best night markets, an autumn grazing dinner and a Sunday producers’ brunch. Taste a bit of Australia with every morsel and experience Oz through its food. The End Festival is one of the premiere cultural events in Australia put on by NSW National Parks. Enjoy good food, family fun, historical heritage for the local culture, eclectic music and historic arts. Get village and ghost tours, depending on your tastes. Relax and enjoy the colours for you and your family. The Great Outdoor Expo is a multi-leg camping and outdoors expo that aims to bring the joys of travel to every Aussie around the country. The Ballarat Showgrounds in Wendouree will be jam-packed with people all over Australia who wants to see the best of the best from the outdoors industry. The Sydney Royal Easter Show is one of the biggest, if not the biggest, festivals in Australia. Enjoy seasonal events you’ll only find at this time of the year, which includes carnival rides, animal competitions for your pets, tasty food all around, art events and many more. If you’re up to it, there’s the annual woodchopping and the honey competition for everyone. Th Byron Bay Bluesfest is one of the biggest contemporary blues and roots music festivals Australia has to offer. Enjoy performances from international artists and local musicians and introduce activities for both kids and adults. Sit down and relax in the bars for adults and let the kids run around during kids events. There’s something for the whole family, and there’s no reason not to go. The Rip Curl Pro Bells Beach put Australia’s most treasured trophy up for grabs again for 2019. This is THE pro surfing event of the year, and the second leg of the 2019 World Surf League (WSL) World Tour. See the best surfers in the world ride the waves and traverse big waves with ease. If you’re looking for the Carnival style event of Australia 2019, the Australian Street Entertainment Carnival is the place to go, and it’s FREE. Travel with the family and enjoy buskers, sword swallowers, BMX stunts, juggling knives and much more. Watch the best professional street entertainers show you fun like no other. The ANZAC Day is our national commemoration of soldiers and heroes who have given their lives to protect this country, specifically the ANZACs of WWI and WWII. In memorial, we help educate children about their accomplishments, their history and 100 years of war. The South Queensland Caravan, Camping, Fishing & 4×4 Expo is the region’s largest caravan and camping industry event. It combines the offerings of over 160 companies in one neat locale. Learn more about caravanning, the ins and outs of Australian camping, fishing tips and the best 4×4 in the country. The Fairbridge Festival is one of the calmest, most entertaining music festivals Australia has for April. Cap off the month with professional string music that soothes the soul, some Americana and even celtic-bluegrass crossover bands. Watch international singers from all over the world and the local talent share their music with everyone. Do you like autumn? If you do, the Bright Autumn Festival is for you. Celebrated in the Alpine High Country, it’s a magical week of food, streets and nature for everyone. Participate in the Wandi Nuts Festival, listen to music in the streets, gallery exhibits, the grand parade and the much-awaited Gala Day. If you’re into RVs, caravanning and enjoying your holidays, then NSW Caravan, Camping, RV & Holiday Supershow is for you. This travel event features the best and latest in RVs, accessories and camping equipment. You can shop the best equipment, compare and even learn a thing or too from the industry experts. Like this list? Share with your friends and send me a comment. It’s hard not to be happy with a list of the best Australian events right before you! Did you find something to suit your needs? Then we’d love to hear about it! 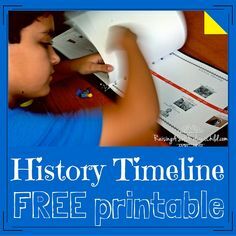 Don’t forget to grab this list as a FREE Printable PDF too! Tell me which events you will be going to in 2019, what should be included on the list and even tag our Social Media (@lostandlovingit1) into your event photos. 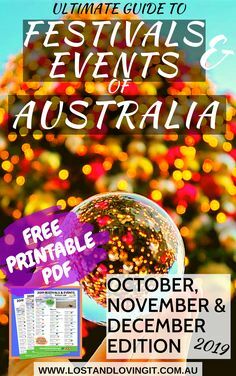 We’d love to see you enjoying an event from this comprehensive list and FREE Printable PDF. Tagged Plan your Trip, Lost and Loving It, Best of Australia, Events and Festivals of Australia.